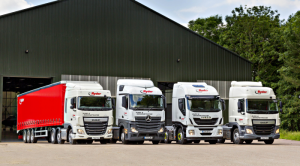 Increasing the safety of its fleet, driving down costs and eliminating inefficiencies was a primary motivation for Ryder to invest in a driver behaviour system, but the company also wanted to ensure that drivers understood and accepted the solution for what it is – a proactive, driver-centric approach to helping them become safer, more efficient drivers. Although some drivers initially expressed concern that information collected would be used as a basis for punitive measures, but managers assured them that because the service is focused on prevention, it actually reduces the need for disciplinary measures. After a wide search, Ryder selected GreenRoad for a driver behaviour and fleet performance solution. When Bob Prim, director of safety standards at Ryder, witnessed the quality of data GreenRoad provides to risk and safety professionals and fleet managers, he was intrigued. With thousands of vehicles in its fleet, Ryder provides outsourced transportation and dedicated contract carriage services to many of the world’s leading brands. Safety and efficiency are critical in maintaining its competitive edge. Ryder initially tested GreenRoad at three locations, implementing the solution with minimal business disruption. GreenRoad sensors analyse up to 150 separate types of driving events in five categories – speed handling, cornering, lane handling, braking and acceleration. Drivers receive immediate in-vehicle feedback, enabling them to correct their driving behaviour in the moment. Ryder’s installation was customized to produce unique vehicle safety profiles that helped the company calibrate speed, route, load and other parameters to achieve its own safe driving standards. The GreenRoad solution helped Ryder managers focus their supervisory ride-alongs and ride-behinds to those drivers who required the most assistance. With GreenRoad, managers can view driver performance on every trip, determine whether a driver’s behaviours are improving and intervene accordingly. Today, GreenRoad’s solution is implemented in Ryder vehicles at more than 50 locations across the United States, with additional installations in progress. Fleet managers report that the GreenRoad makes their jobs easier and more meaningful because it enables them to affect real change in driving behaviour that increases the safety of their drivers.